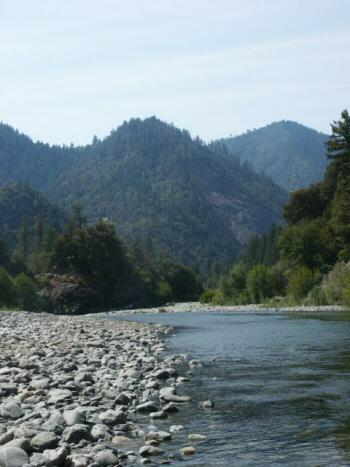 For those members who think the Main Stem of the Salmon River is beautiful, just wait until you see how nice it is up the North Fork! The area is like something right out of a story book. The views coming in from the upper road out of Etna (from Yreka) are outstanding!By the way, the road in from Yreka (through Etna) is generally better than the lower road in from Somes Bar at the mouth of the Salmon. Although it is steeper in places, it is generally wider and a better road. If you are traveling from Interstate 5, you can probably save a few hours by going to the North Fork through Etna. Please look at the enclosed full-color map to get a better look at this.